Going on a trip soon? Hopefully you have an awesome time planned with the help of some travel sites. But before you go, it’s a good idea to set up an “out of office” responder in your email How to Set Up an Email Out of Office Responder Before You Go on a Trip How to Set Up an Email Out of Office Responder Before You Go on a Trip Wouldn't you love to go on vacation knowing you don't have to check your email? If you can't rely on an assistant while you're away, turn to autoresponders in Gmail. Read More . Doing so lets people who send you a message know that you won’t respond until you’re back. If you don’t set this up, people will probably wonder why you’re taking so long to respond. We’ll show you how to set up the out of office feature in Yahoo Mail. Visit your Yahoo Mail dashboard. Log in if needed. Click the Settings gear on the right side of the page and choose More Settings. On the left sidebar, choose Vacation Response. Enable the Enable vacation response switch. Set a start and end date for the out of office response. Any emails received inside this range will receive an automatic response, so make sure you set the right dates. Enter a basic message explaining that you’re out of office and will reply to person’s message when you return. If you want to send a different message How to Write the Perfect Professional Email (Backed by Data) How to Write the Perfect Professional Email (Backed by Data) Email remains the main form of communication in business. To succeed in that environment, you should learn how to compose effective professional emails. We show you 9 simple tricks that have been proven to work. Read More to certain domains, enable the Add another response slider. Add one or two domains, then write a specific message for them. That’s all you need to do! The specific domain response feature is useful if you want to send coworkers one message and people from outside your company another. It’s useful to include details about who people in your company should contact in your absence. When do you use the out of office responder? Do you plan on going on a trip soon? Tell us if you find this feature handy in the comments! Explore more about: Email Tips, Yahoo Mail. 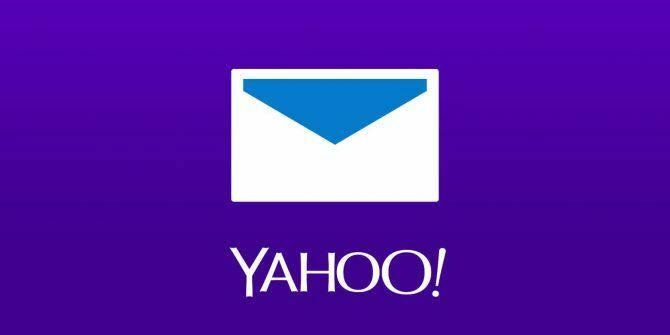 Nobody used Yahoo mail anymore. It's gone. That's what I thought too, but it seems that people are searching for Yahoo-related topics quite a bit recently. Interesting, isn't it?